Caravan are from Canterbury, a historic part of the District of Kent in South East England. 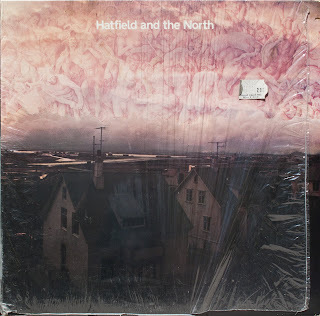 Home to many old cathedrals, and the setting for Chaucer’s 14th century “Canterbury Tales”. 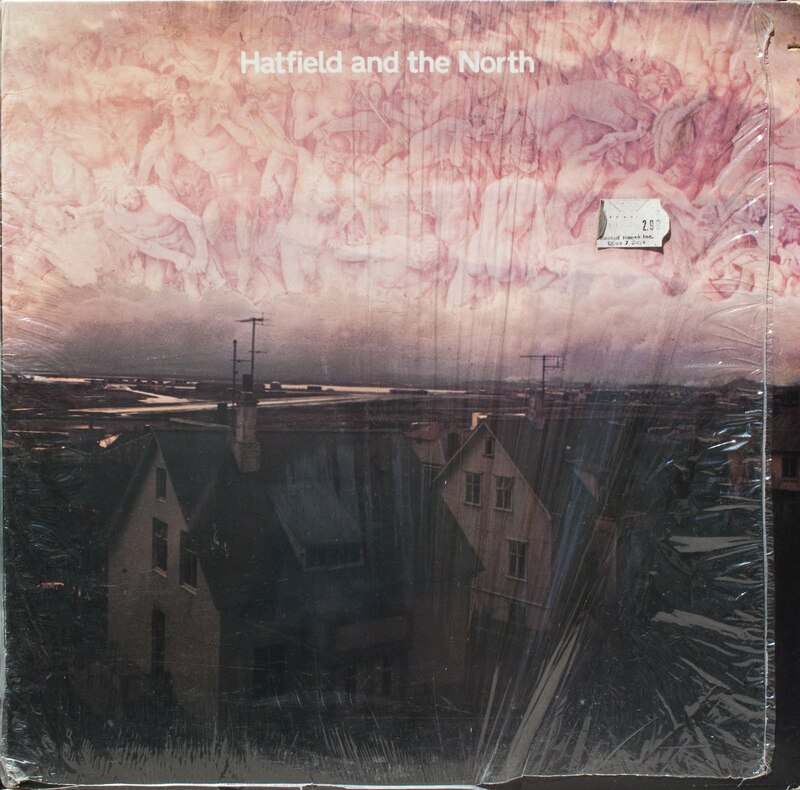 It is also the birth place of a type of progressive rock music from the 1960s. 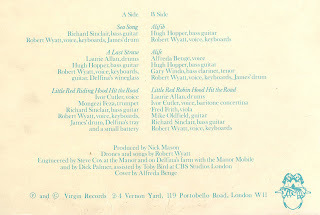 The music had it's roots in jazz, folk and blues, but was very experimental. 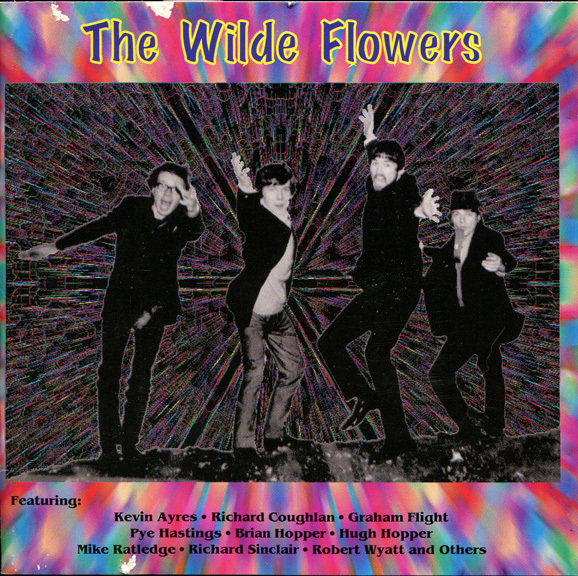 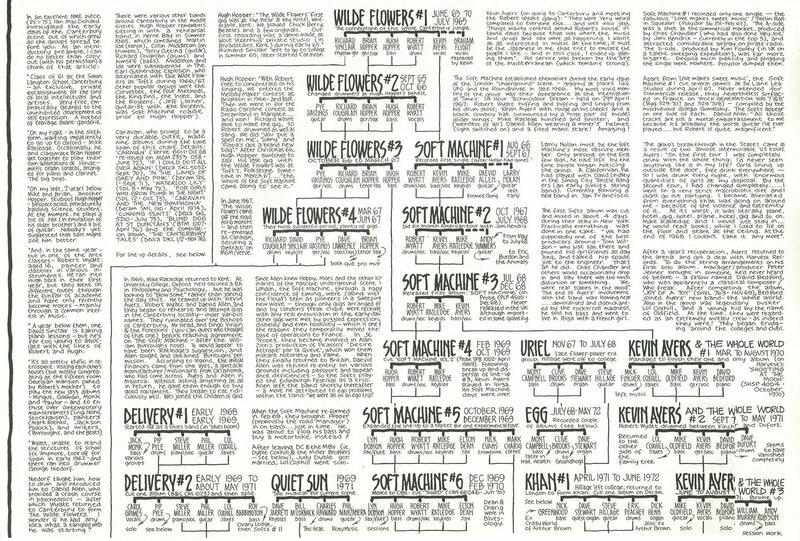 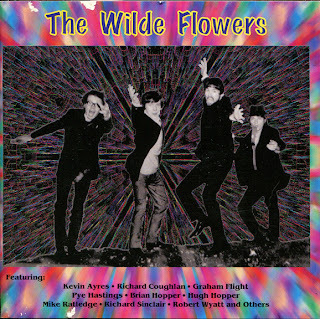 One of the earliest and most influential bands was The Wilde Flowers. 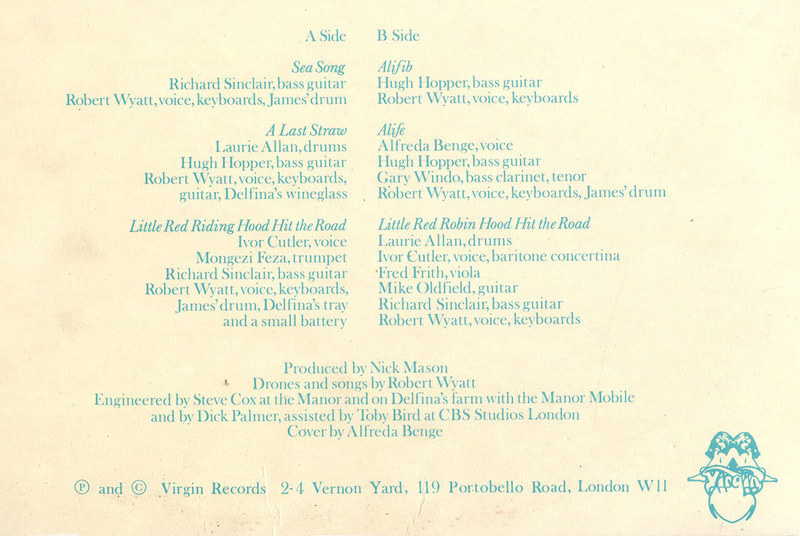 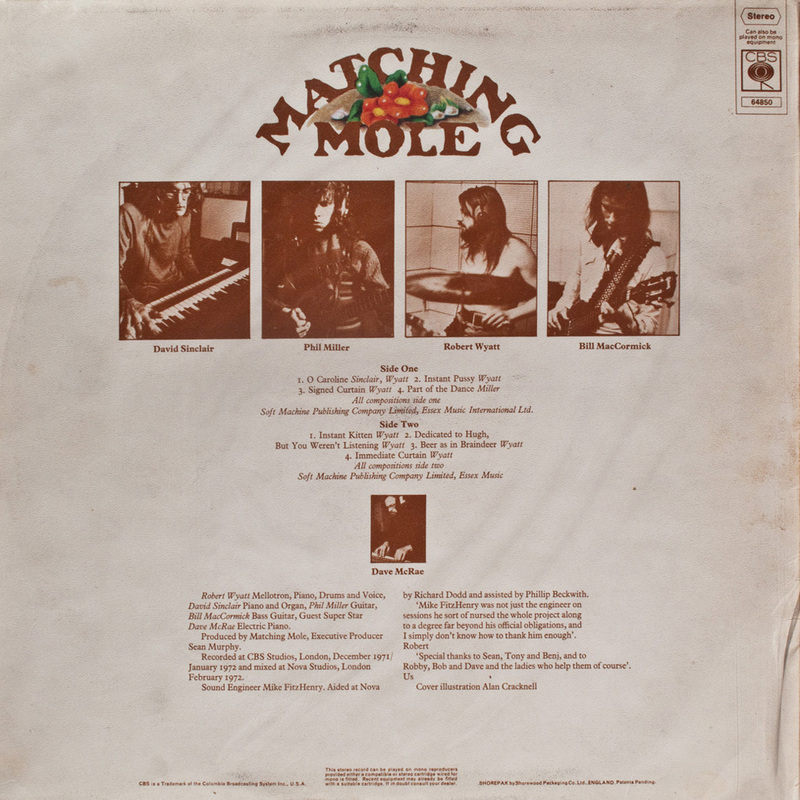 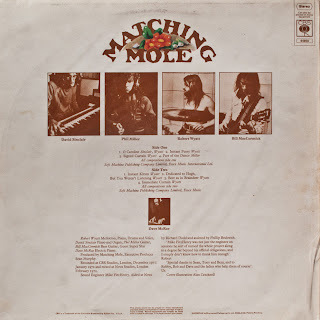 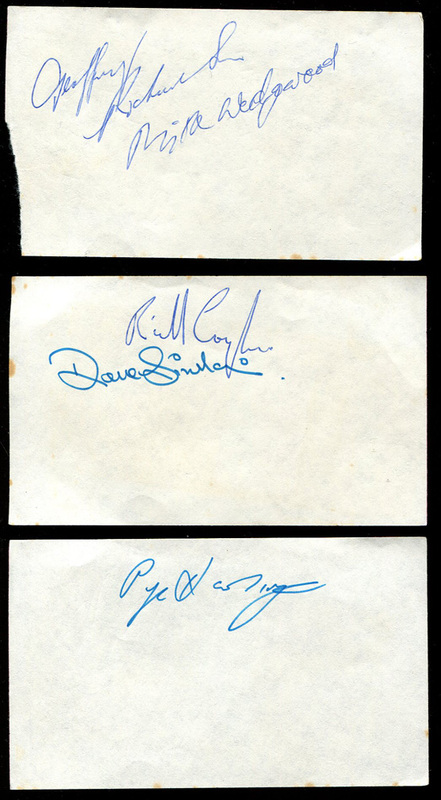 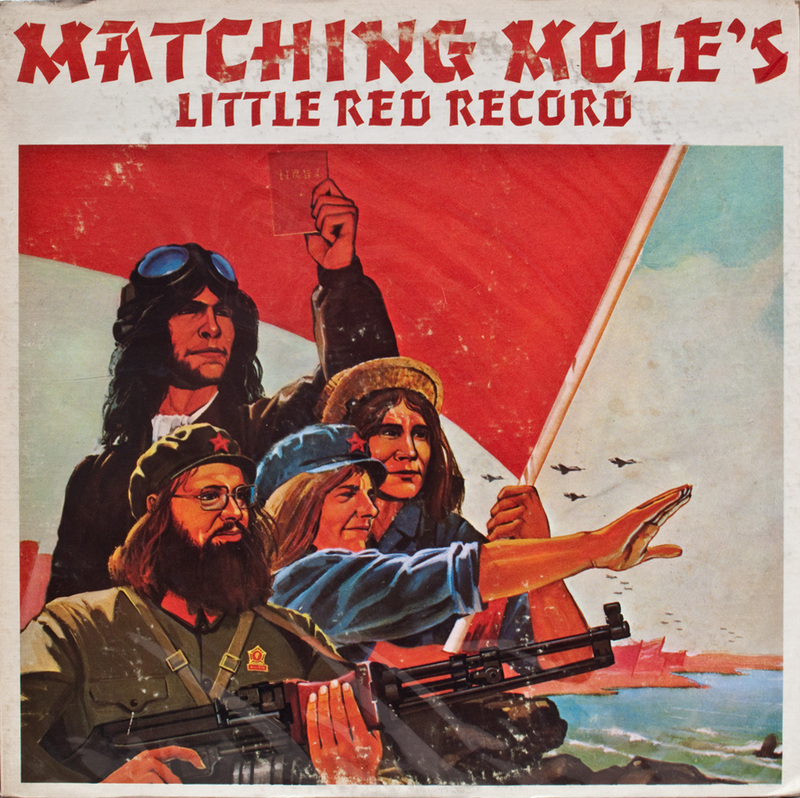 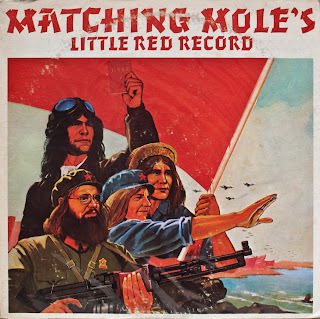 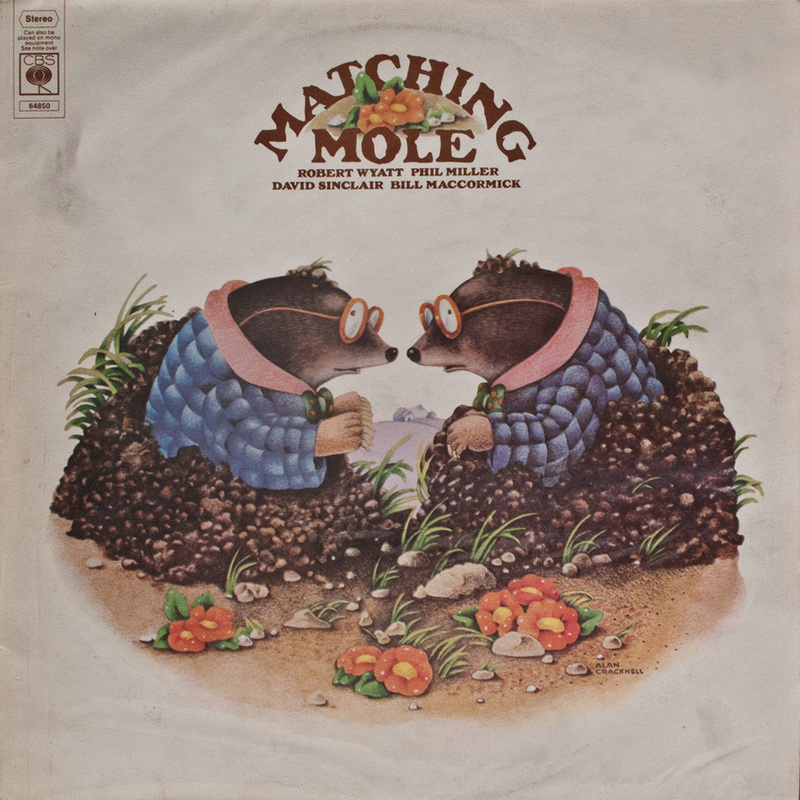 Formed in 1963, it included Kevin Ayers, Richard Sinclair, Robert Wyatt, Brian and Hugh Hopper. 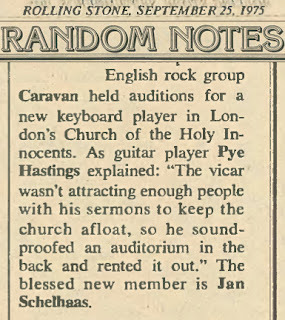 Pye Hastings, (guitar / vocals), and Richard Coughlan, (drums), joined in 1965. 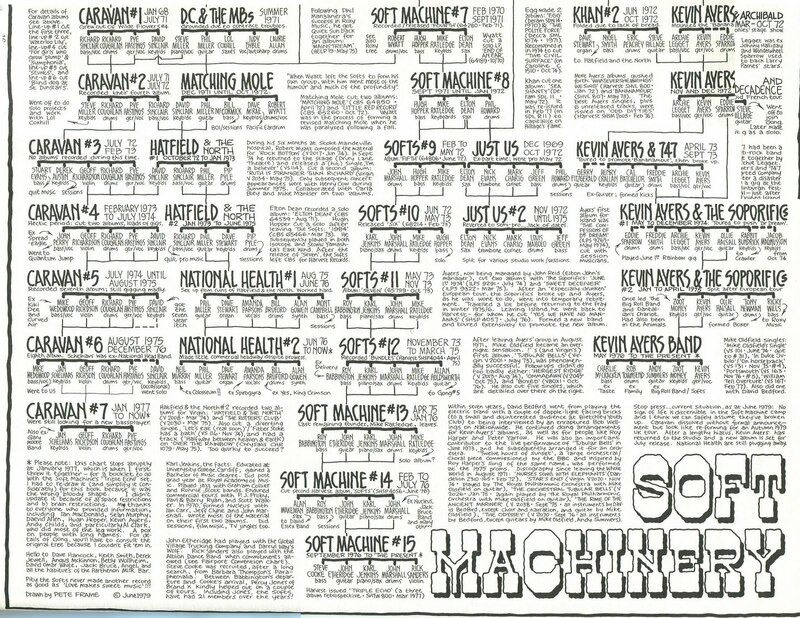 Robert Wyatt and Kevin Ayers left to form Soft Machine. 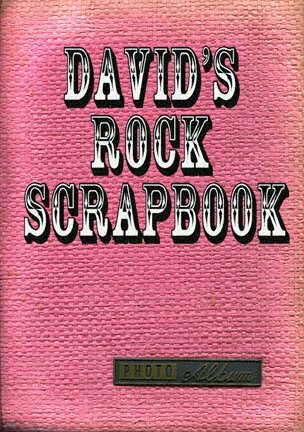 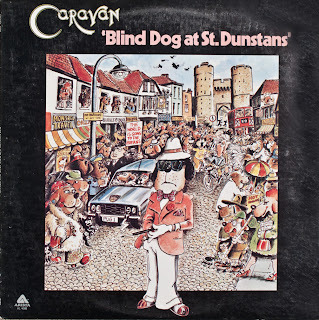 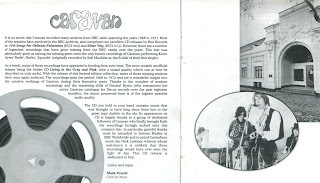 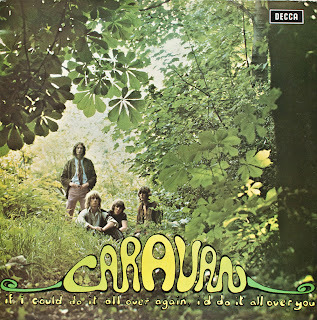 In 1968 David Sinclair joined The Wilde Flowers and they changed their name to Caravan. 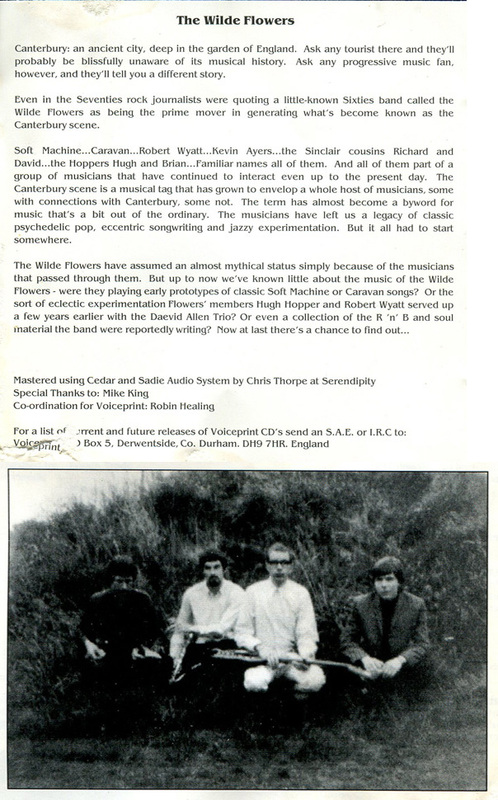 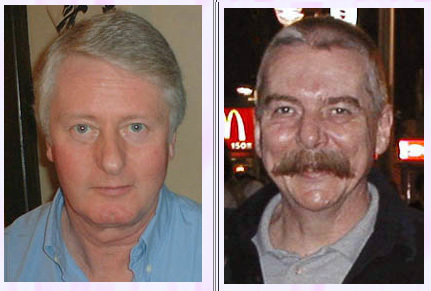 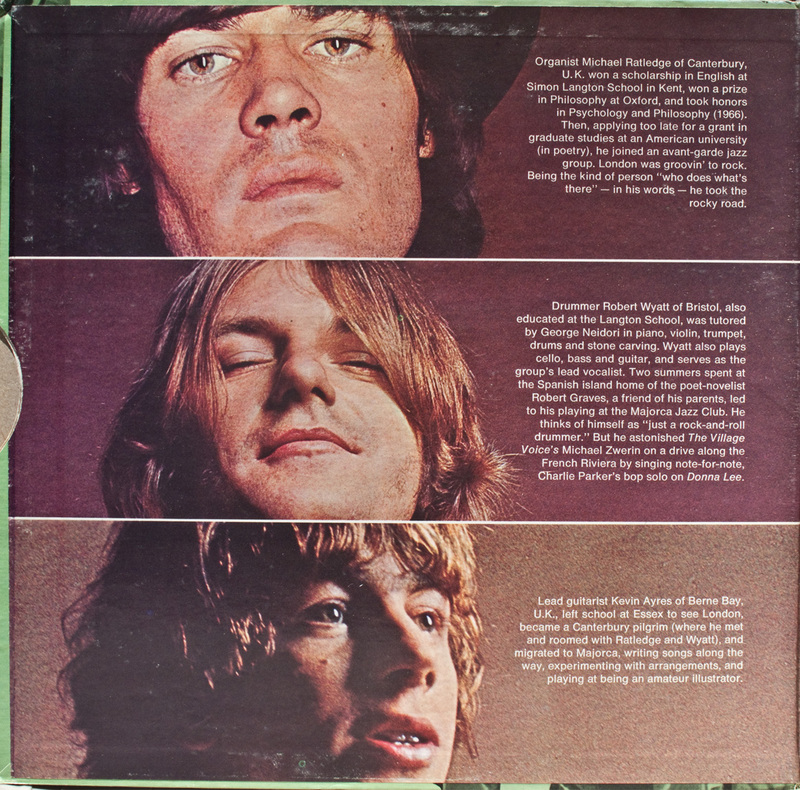 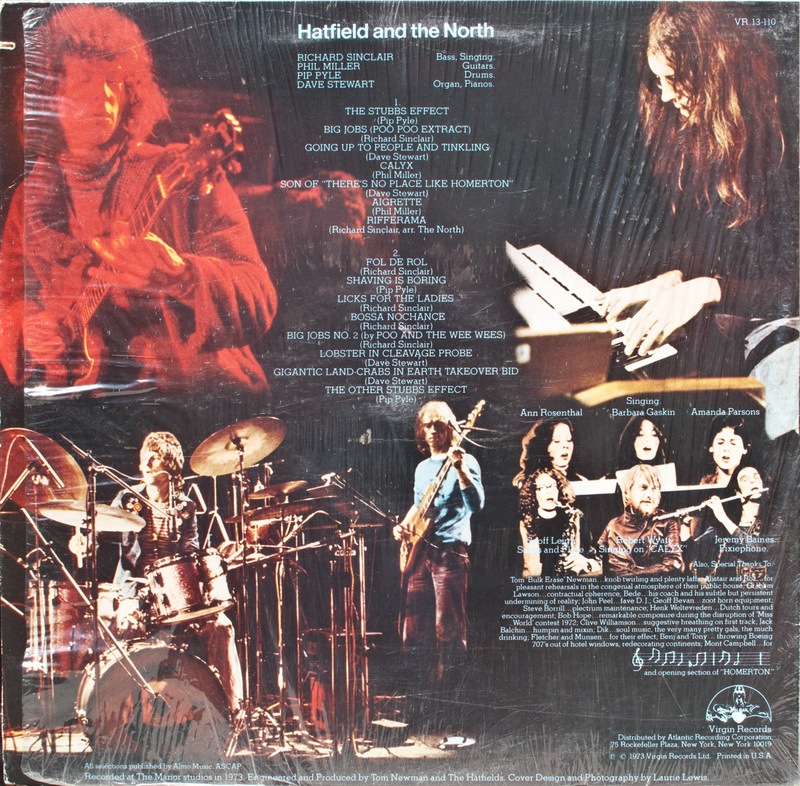 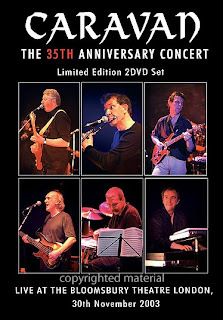 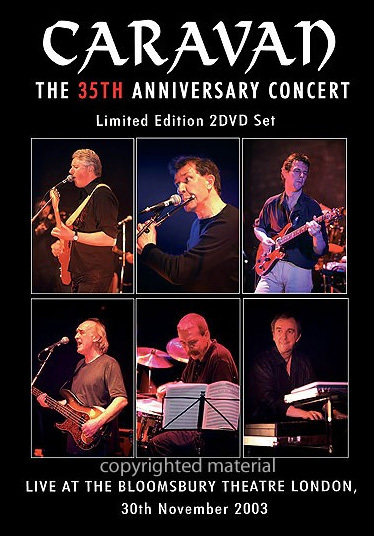 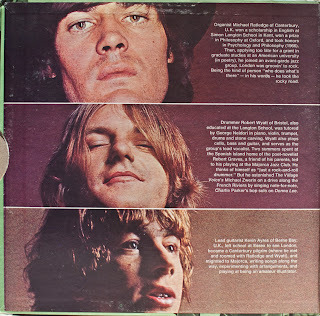 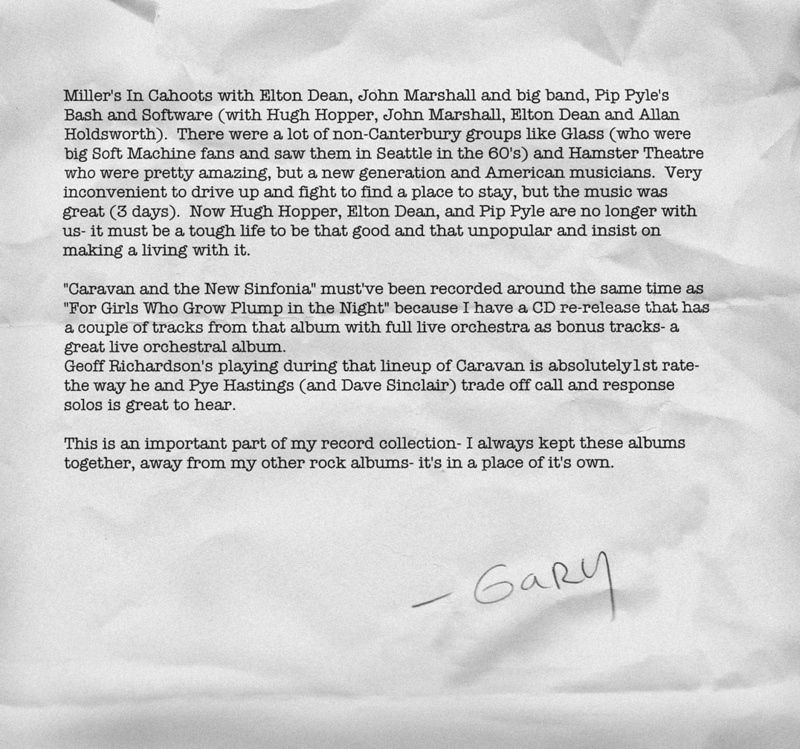 Since then there have been many changes, but Pye Hastings and Richard Coughlan remained throughout the band’s long history. 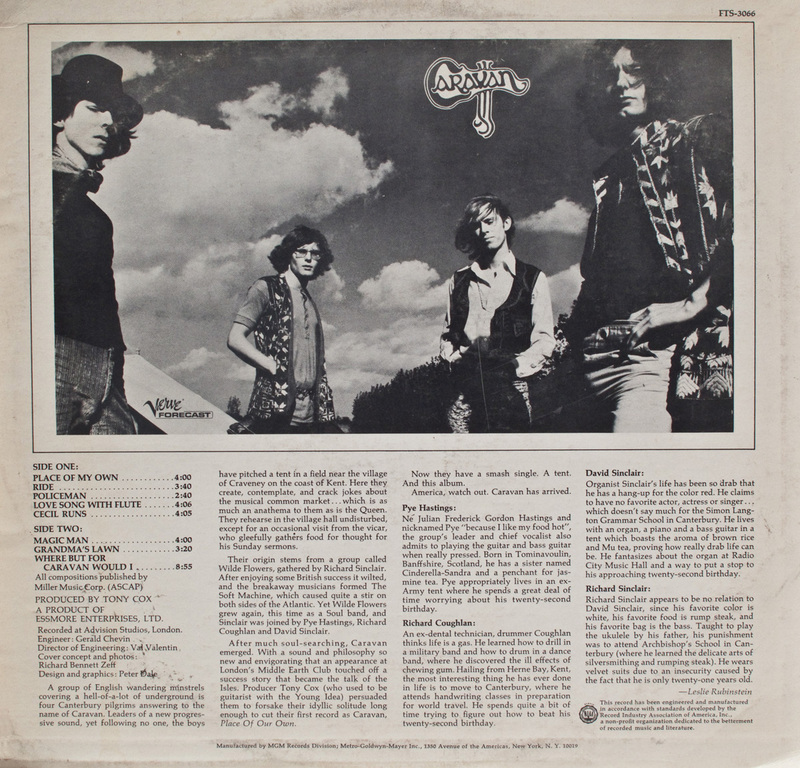 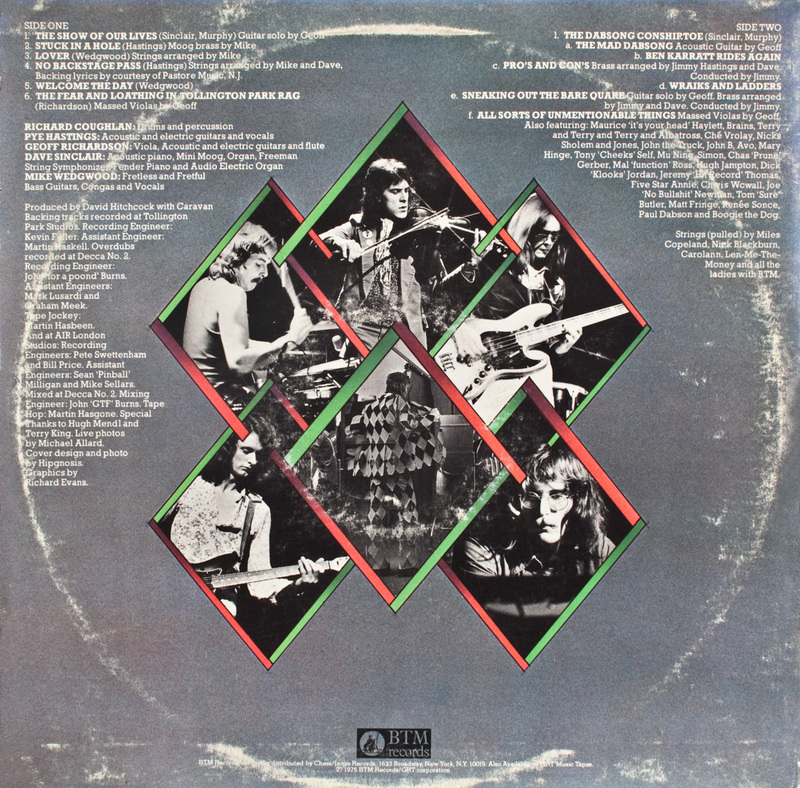 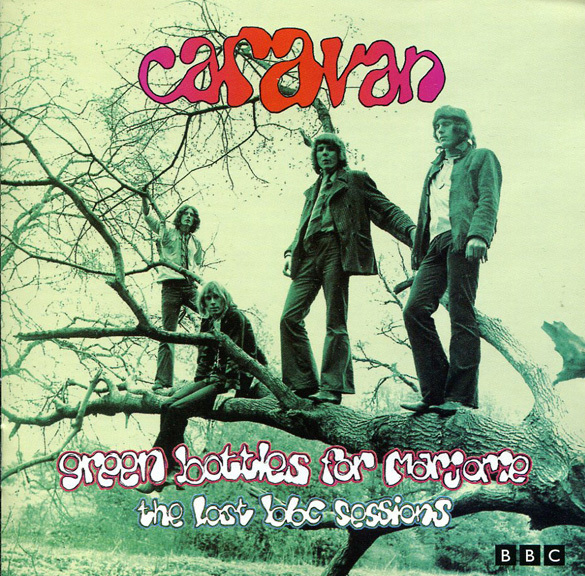 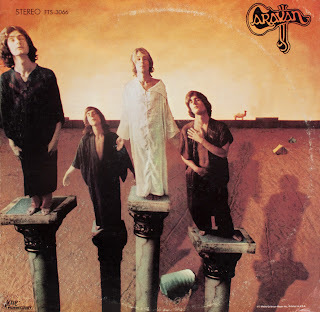 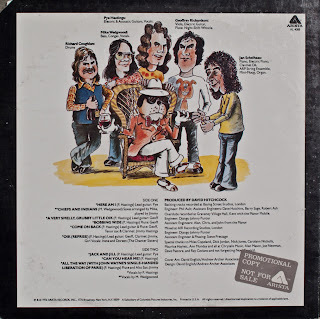 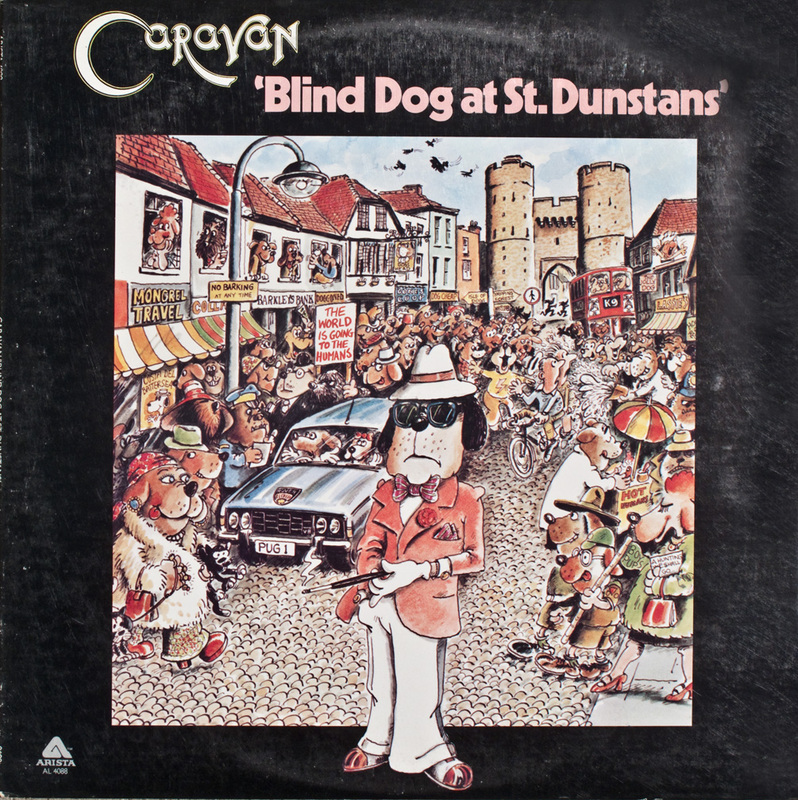 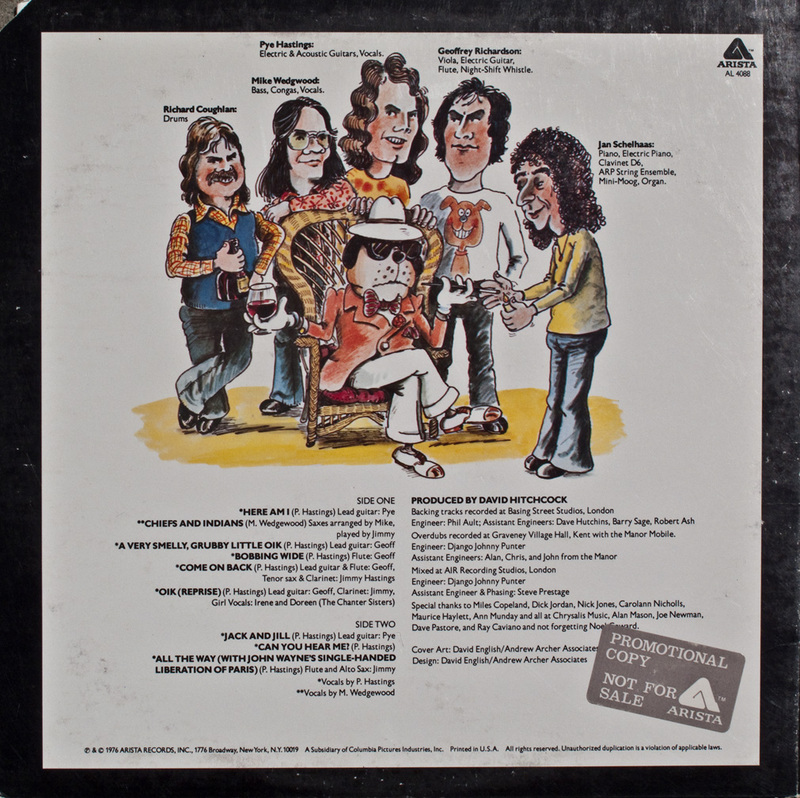 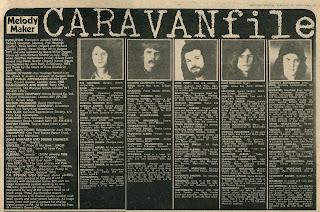 Caravan made it’s first tour of the USA in 1974. 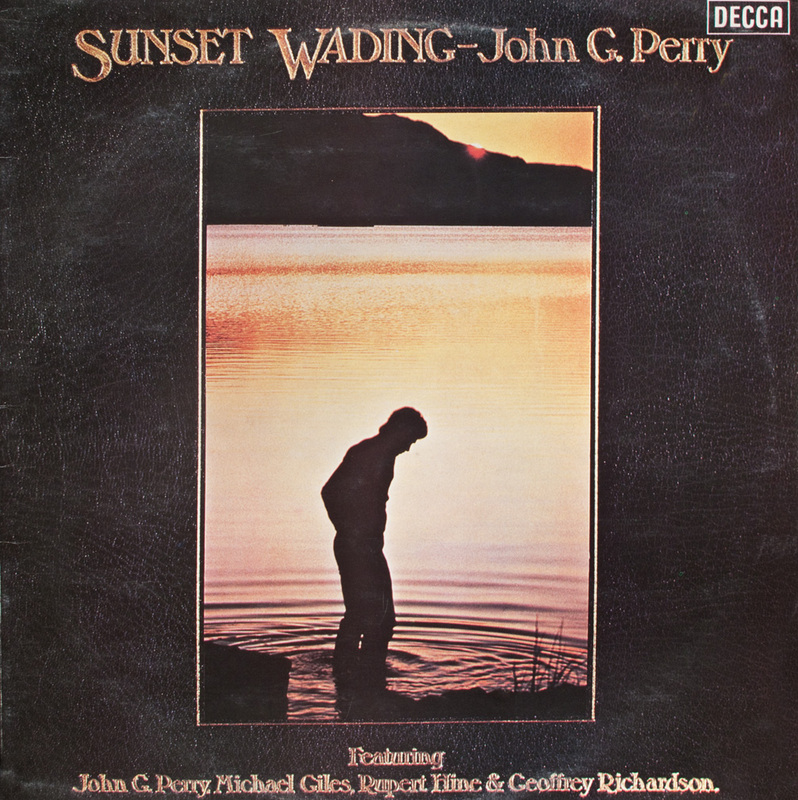 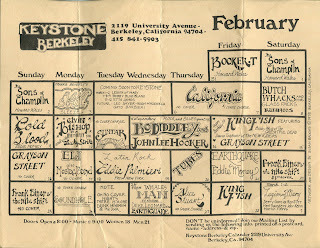 My friends and I were lucky to see them perform at The Keystone Club in Berkeley on November 9th, 1974. Below are the autographs I got from the band that night. 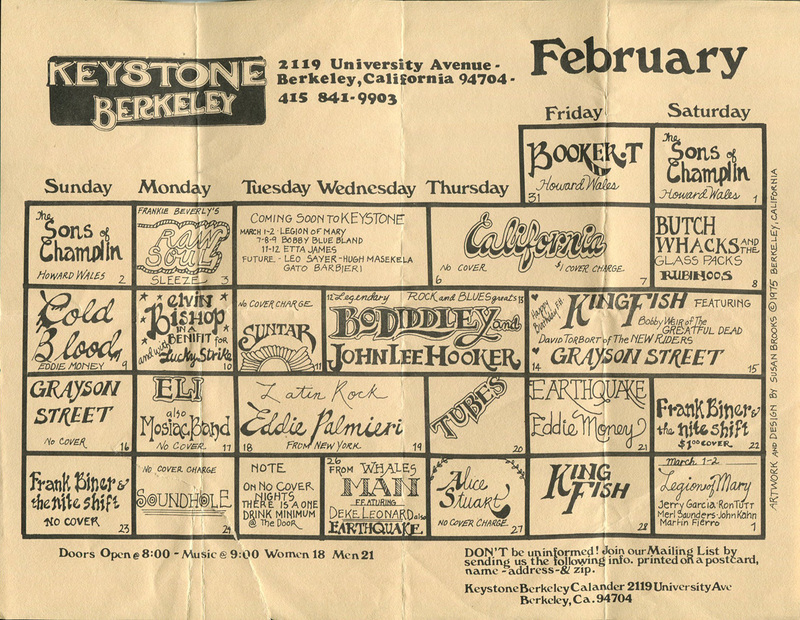 A flyer from the Keystone Club in Berkeley. 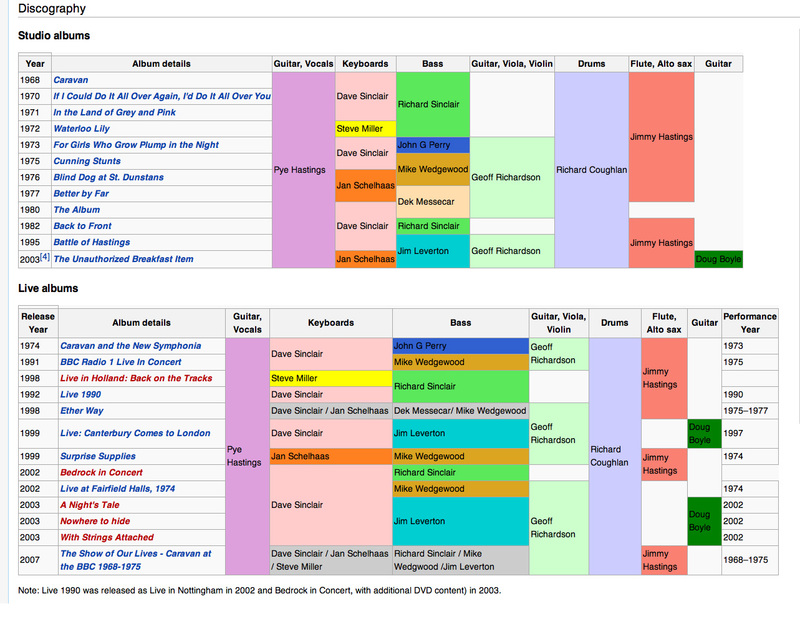 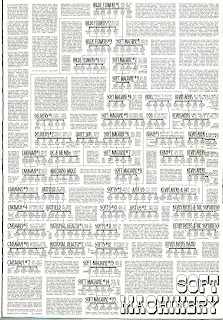 A history of the band. 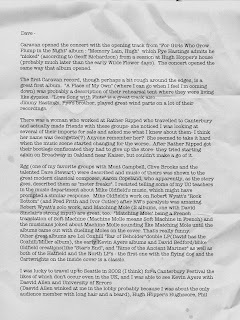 The page is enlarged here in two parts. was published October 13th, 1973. 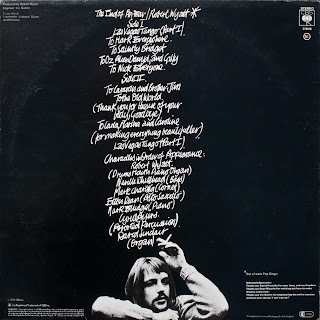 That Go Bump In The Night". 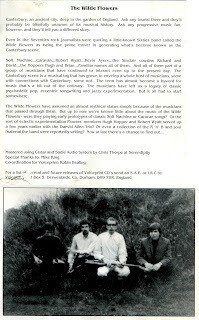 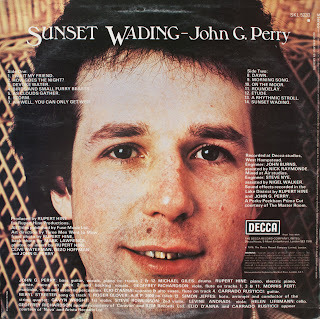 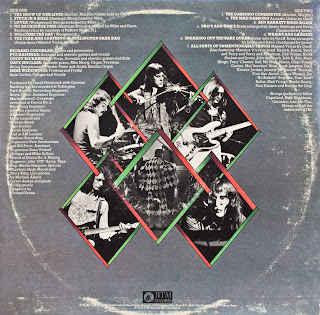 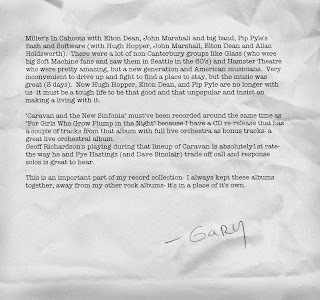 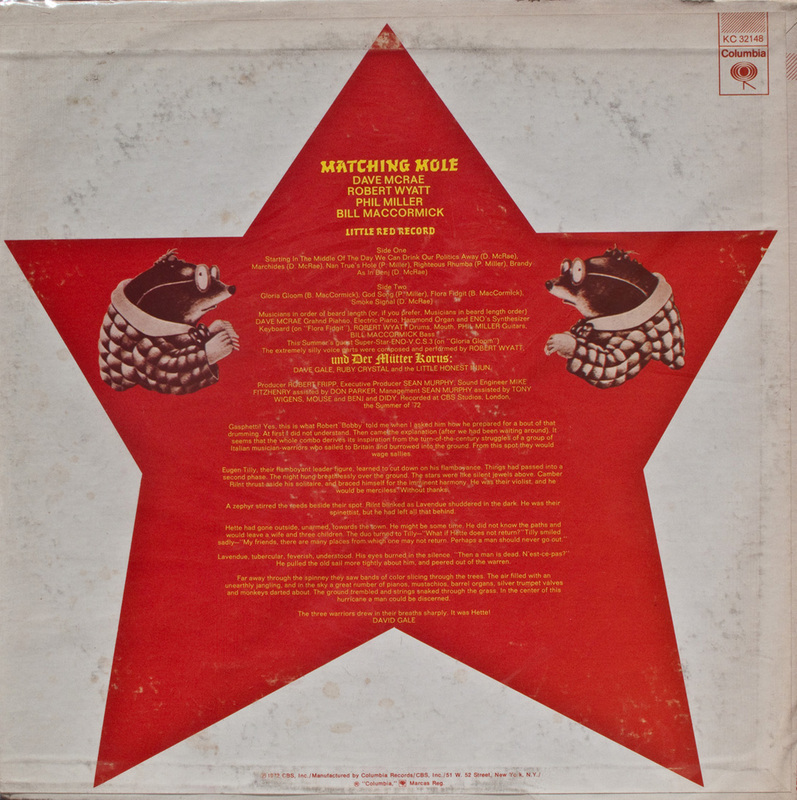 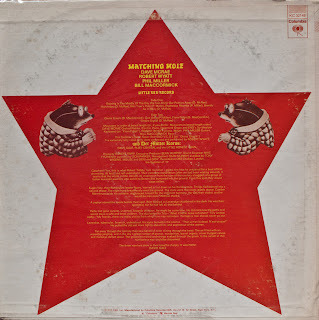 A bio of the band from February, 23rd, 1974. 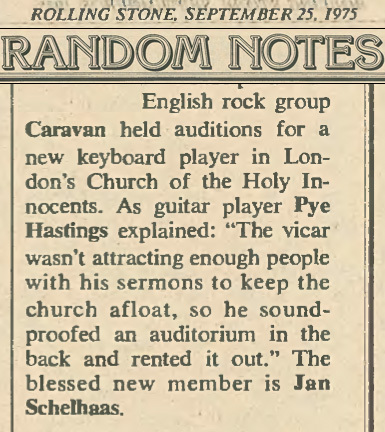 An article from April 13th, 1974. 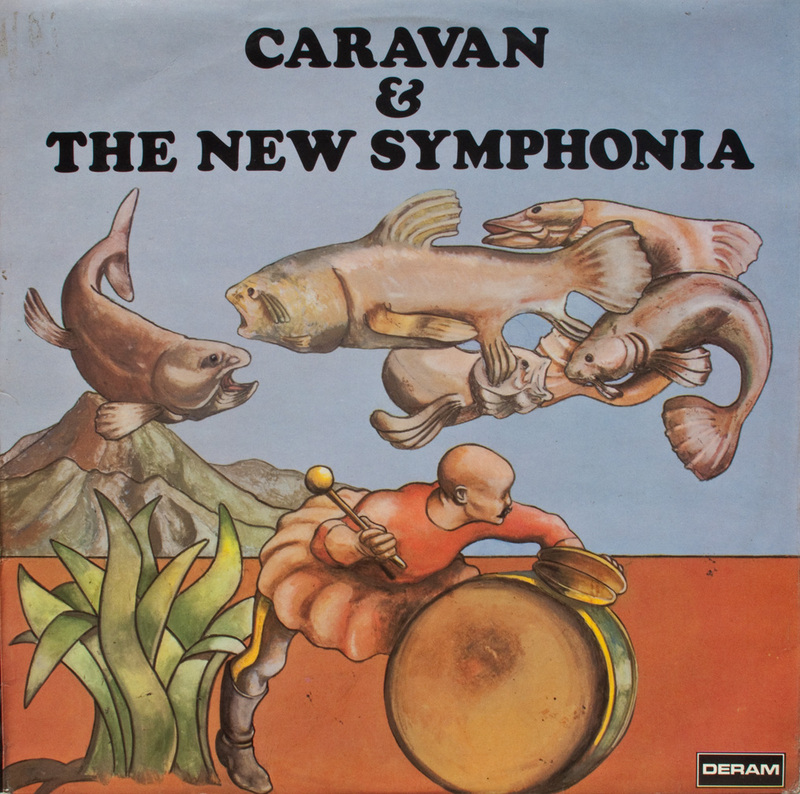 "Caravan & The New Symphonia". 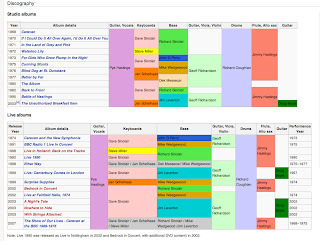 did so a short time later. 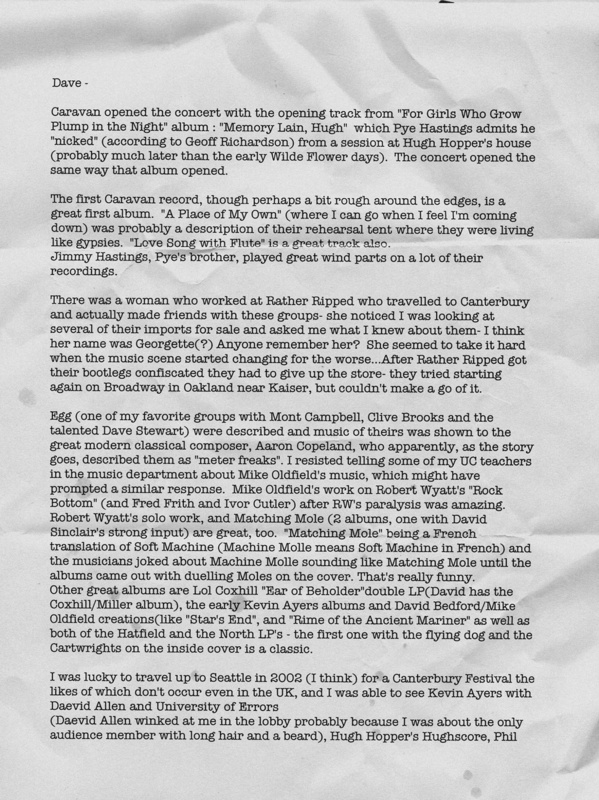 Another change in the band is announced. 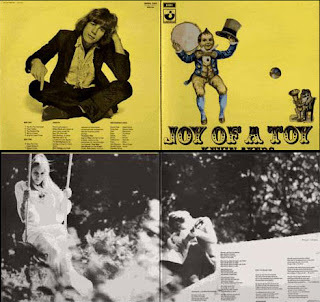 albums and songs were playful and at times risque. 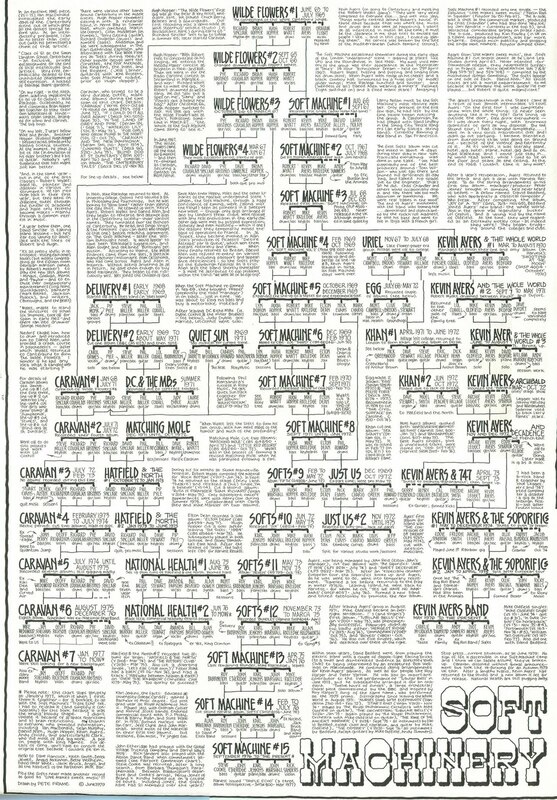 states and San Francisco in particular. 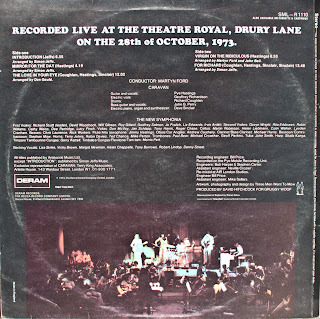 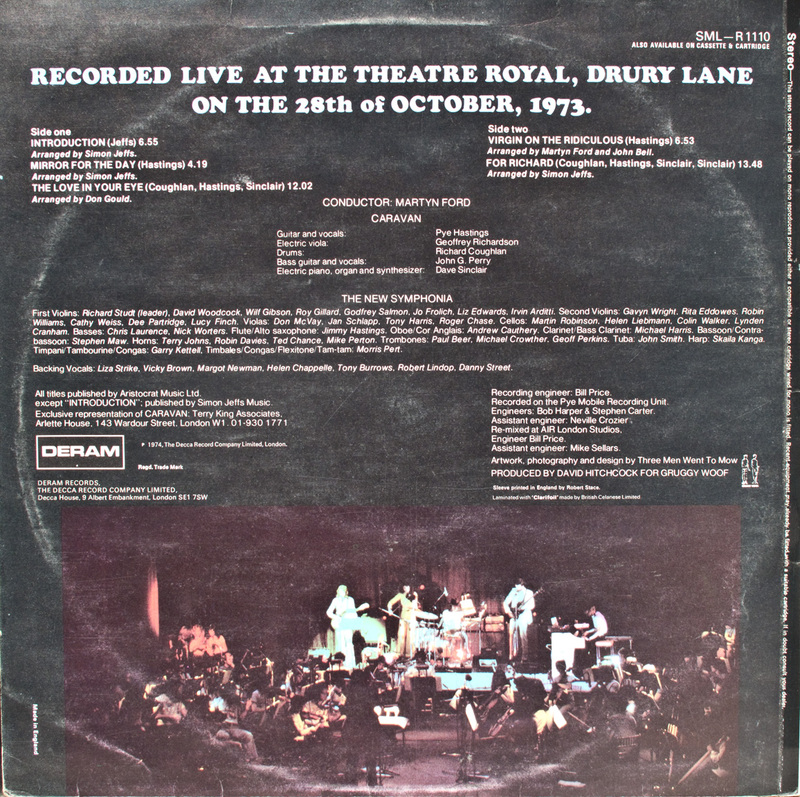 live on October 28th, 1973 at the Theatre Royal. 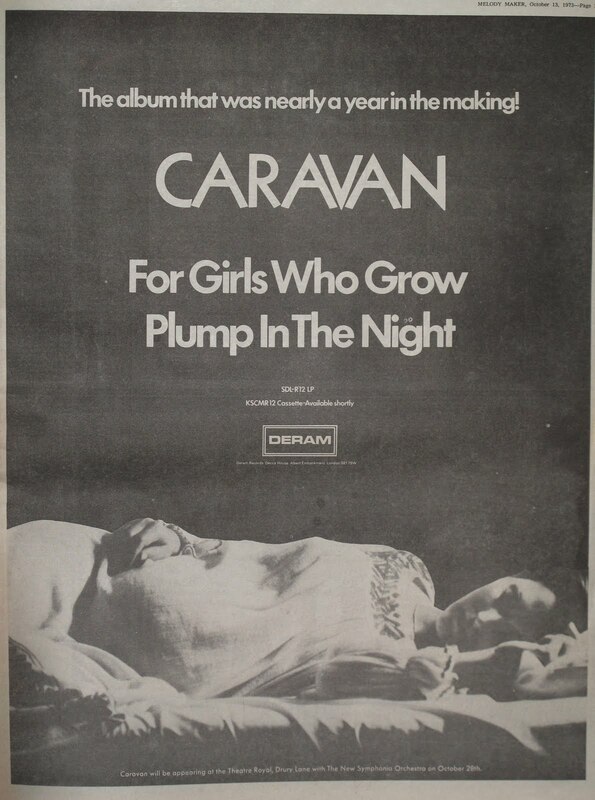 (another risque play on words). 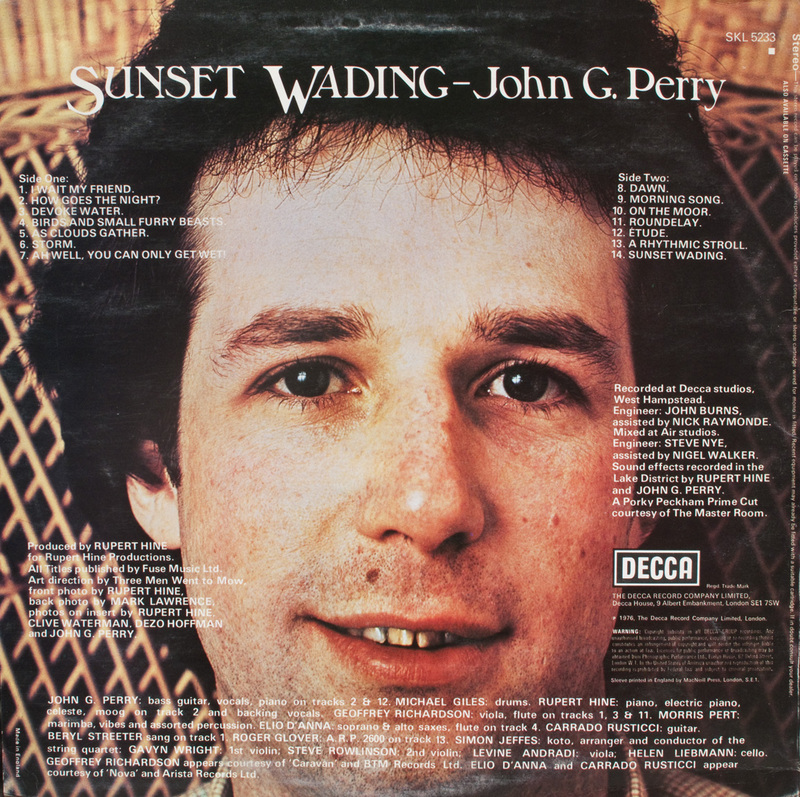 and joined Caravan to replace John Perry. 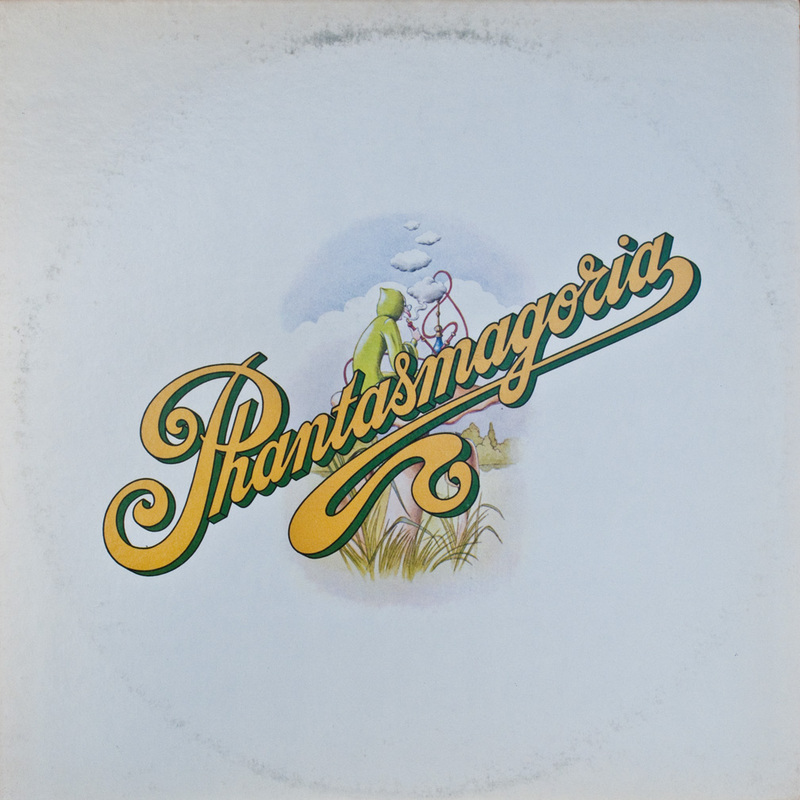 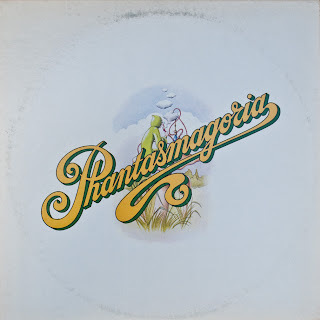 "Phantasmagoria" was their last album. Kevin Ayers first solo album. 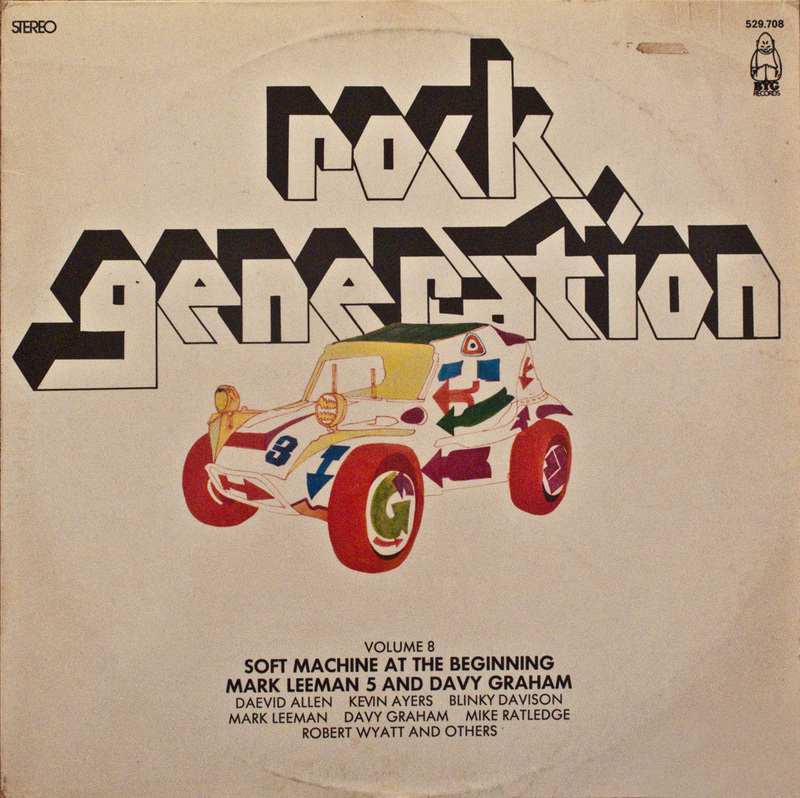 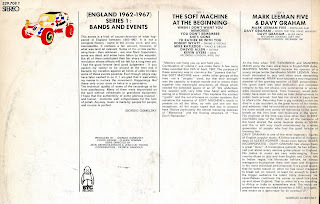 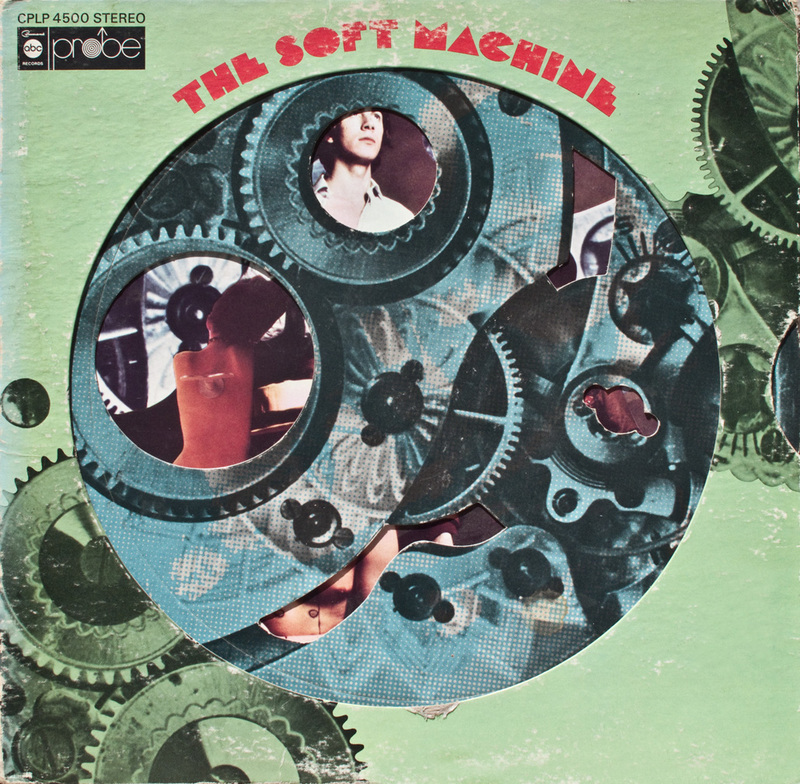 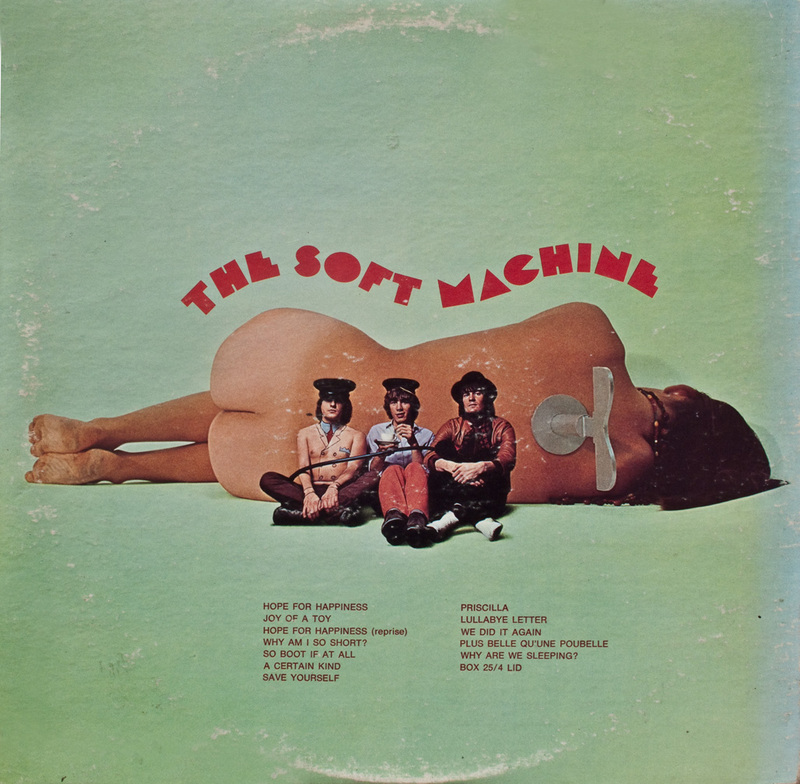 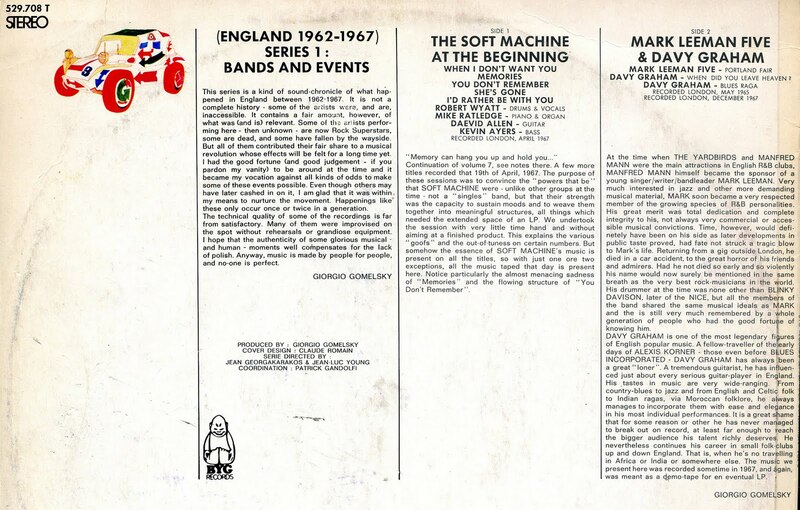 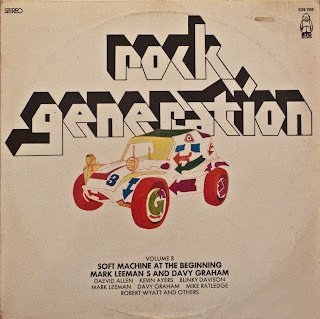 The first Soft Machine album. 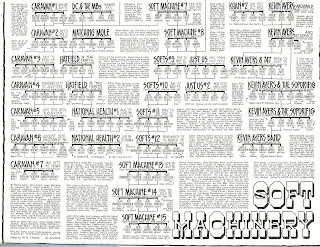 referring to the human body. 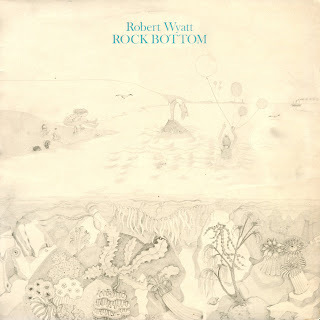 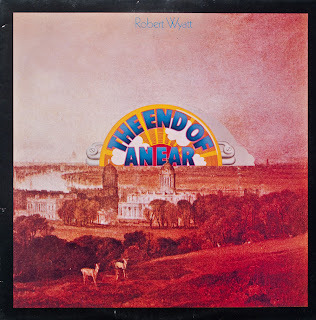 Robert Wyatt's first solo album. 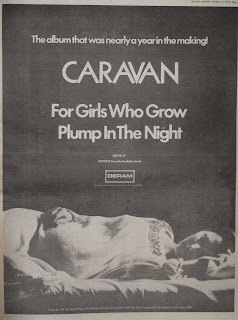 titled "To Caravan and Brother Jim". 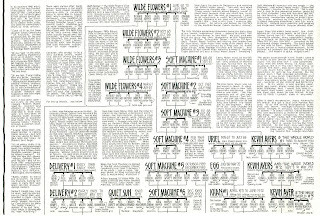 finest and most personal work. 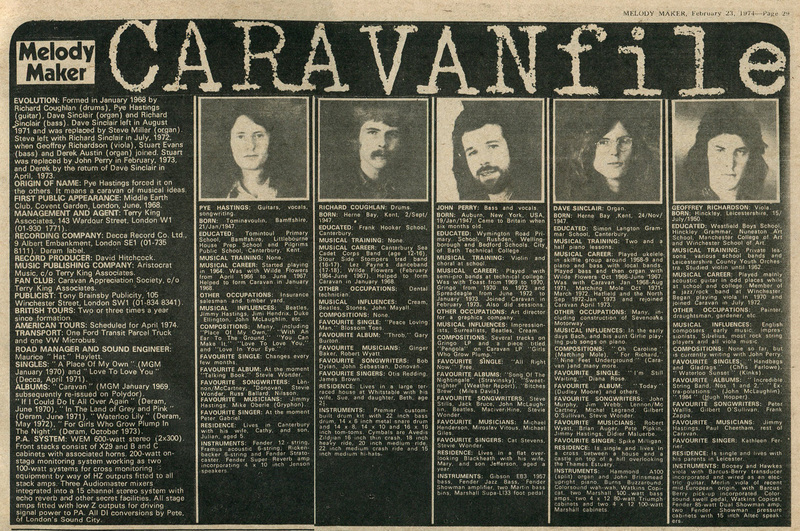 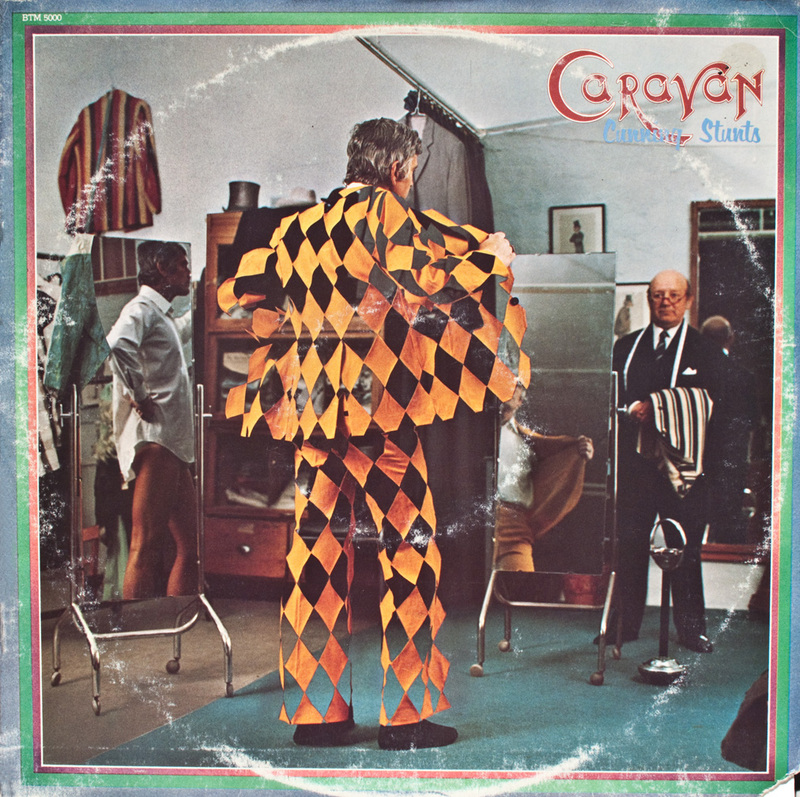 before and after Caravan, including Curved Air. A recent CD release of lost BBC tapes.